In this article, we study which institutional factors shape citizens’ views of the local accountability of their public officials. Our departing assumption is that evaluations of local accountability do not merely reflect citizens’ political attitudes and beliefs, but also whether local institutions contribute to an environment of mutual trust, accountability and ultimately democratic legitimacy. Combining public opinion data from a large-N citizen survey (N=10,651) with contextual information for 63 local governments in Ethiopia, we look at access to information, participatory planning and the publicness of basic services as potential predictors of citizens’ evaluations of local public officials. Our findings suggest that local context matters. Jurisdictions that provide access to information on political decision-making are perceived to have more accountable officials. Moreover, when local governments provide public fora that facilitate citizens’ stakes in local planning processes, it positively affects citizens’ evaluations of the accountability of their officials. Our study adds to the empirical literature by showing that establishing local institutions that can foster citizen-government relations at the local level through inclusive processes is crucial for improving public perceptions of accountability. We have presented an empirical test of local institutional factors – particularly access to information, participatory planning and publicness of basic services – and their impact on citizens’ perceptions of local accountability in Ethiopian local governments. Our empirical results show that two out of the three factors matter. Once a jurisdiction adopts participatory planning and/or provides access to information on political decision-making, it positively affects the way in which citizens perceive the accountability of their officials. 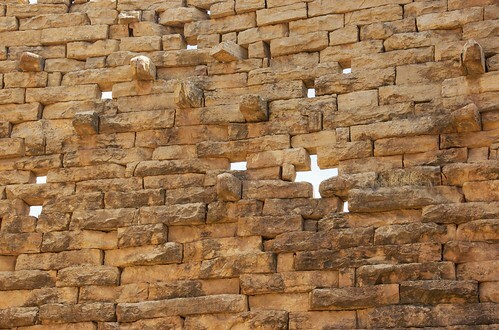 In sum, both factors are thought to improve the relationship between citizens and their respective local governments. Hence, our findings suggest that establishing local institutions that can foster citizen-government relations at the local level are crucial for improving public attitudes towards local government. Furthermore, positive attitudes towards local government, furthermore, strengthen the democratic legitimacy of the state at the local level. Thus development practitioners and policy-makers may take these institutional factors into account when reforming local governments. You can read an ungated version of the paper here [PDF]. 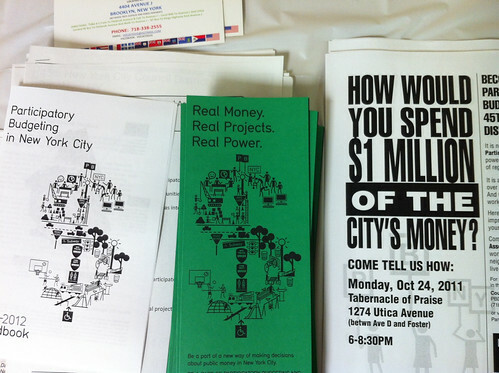 And you can read more about the benefits of citizen participation here. 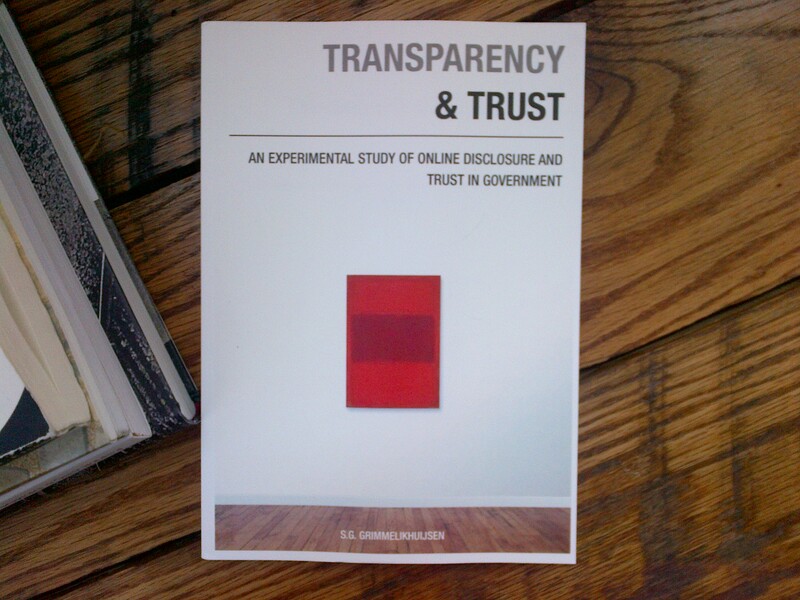 A big thank you to Stephan Grimmelikhuijsen for sending me two copies of his book overseas: Transparency and trust: an experimental study of online disclosure and trust in government. You can download a version of it (dissertation) here. Stephan’s work is, in my opinion, extremely important reading for those working in the field of transparency and accountability. As it turns out, whether we like it or not, claims that transparency leads to more trust are not supported by the existing evidence. Still not convinced? Read a short review of the evidence here. So here it is, finally, the much awaited PhD by Hollie Russon-Gilman (Ash Center – Harvard) on Participatory Budgeting in the United States. States that can be streamlined and adopted to scale. You can read the full dissertation here [PDF]. Like it? You might also want to read this about who participates in NYC’s PB and this about the effects of PB on infant mortality in Brazil. Collective action taking place on Internet platforms leaves a digital imprint which may be harvested to better understand the dynamics of mobilization. This ‘big data’ offers social science researchers the potential for new forms of analysis, using real-time transactional data based on entire populations, rather than sample-based surveys of what people think they did or might do. This paper uses a big data approach to track the growth of about 20,000 petitions to the UK Government over two years, analyzing the rate of growth and the outreach mechanism. The number of signatures was collected for all petitions with an hourly resolution. The vast majority of petitions did not achieve any measure of success; over 99 percent failed to get the 10,000 signatures required for an official response, and only 0.1 percent attained the 100,000 required for a parliamentary debate. We analyze the data through a multiplicative process model framework to explain the growth of signatures. We have defined and measured an average outreach factor for petitions and show that it decays very fast (reducing to 0.1% after 10 hours); after 24 hours, a petition’s fate is virtually set. Read the full paper here [PDF]. 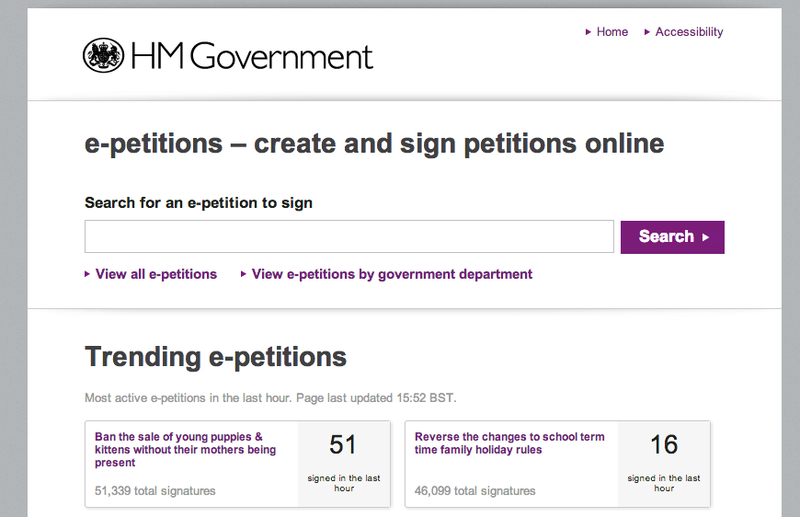 And if you are interested in e-petitions, you may also like this.